The winter months are known as a leading cause of indoor stir-craziness. Colder temperatures, rain, sleet, snow and shortened daylight hours all mean we spend more time inside than we would like. This poses a challenge for guys, who after months of hibernation are surely climbing the walls. Here are some outside-the-box ideas to support inside creative outlets for guys to help maintain their sanity. The craft beer craze continues to grow, with nearly 1,000 new breweries opening across the country each year, according to the Brewers Association. But no need to venture out to the local taproom if you can serve the fruits of your own labor from the comforts of home. Given the right ingredients and equipment, brewing homemade beer is as simple as following a recipe. After brewing, fermenting and bottling over a couple of weeks’ time, invite the pals over to show off your own brand of beer. Tackling the list of projects around the house requires a work station where you can get things done, though being confined indoors means that space is at a premium. The portable Keter folding work table from Northern Tool + Equipment is an efficient way to establish this home base that you can easily fold up and store when finished. Use the table for working on any number of household odd jobs or help the kids with their hands-on school projects. Better still, park the table in the garage and treat it as a hang-out place for chips and beer with the buddies. If time must be spent inside, add some intrigue from the great outdoors to your den or man cave. 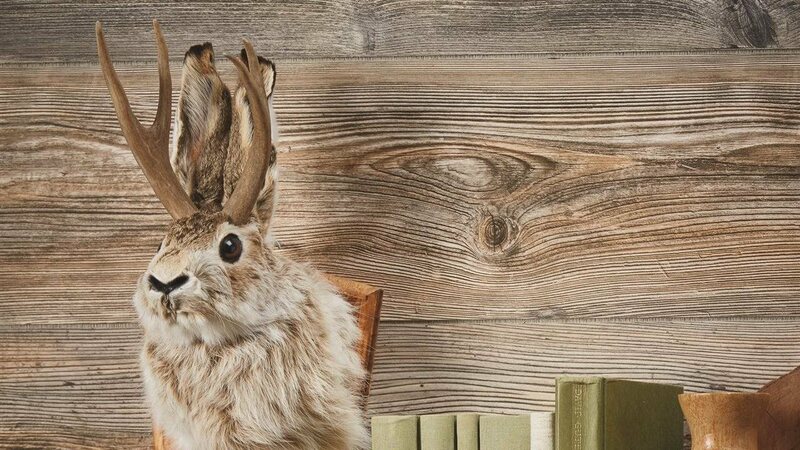 Nothing sparks some good storytelling like a realistic taxidermy specimen mounted on the wall, and the Jackalope Wall Mount from Kotula’s is sure to turn heads. No two of these creatures are alike, so regale your pals with epic tales of the chase until you can all get out on the trail again. You know what they say: “If you can’t beat ‘em, join ‘em.” The only surefire way to overcome stir-craziness is to get outside, no matter what the elements may present. If it’s snowing, try an hourly or full-day snowmobile rental. If your area has been hit with heavy rains, fight back by taking the truck out. Be creative and get the whole family involved so that when the day is done, all will be happy to enjoy the comforts of the indoors once again. The winter months are known as a leading cause of indoor stir-craziness. Here are some outside-the-box ideas to help maintain sanity. Tackling the list of projects around the house requires a work station where you can get things done, though being confined indoors means that space is at a premium. The portable Keter folding work table from Northern Tool + Equipment is an efficient way to establish this home base that you can easily fold up and store when finished. The only surefire way to overcome stir-craziness is to get outside, no matter what the elements may present. If it’s snowing, try a snowmobile rental. If your area has been hit with heavy rains, fight back by taking the truck out “muddin.’” Be creative and get the whole family involved.